Need a custom authenticator for your WSO2 Identity Server SSO login? We've got you covered. Let's look at implementing a WSO2IS authenticator, and extend the basic authenticator. 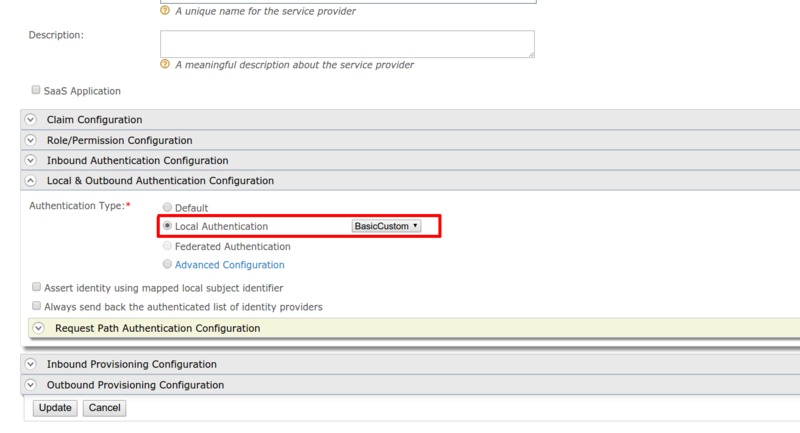 In SSO login, you can plug different custom authenticators in to the WSO2IS. There are two major types. One is local authenticators and other one is Federated Authenticators. Federated authenticators are needed when you need to provide browser based redirections to another IDP. As an example Salesforce, Google, Facebook IDPs. (More details from here). In other cases, we can implement a local authenticator. Default authenticator of WSO2IS, is the Basic authenticator and it is also a local authenticator which authenticates the end user with connected user store using provided username and password. In this post, lets try to implement a local authenticator for WSO2IS by extending the basic authenticator. Lets take following two sample requirements. Step 1. Extend the Basic Authenticator and implement a new authenticator. Also, we need to modify the authenticator name by extending “getFriendlyName()” and “getName()” methods. You can fine the extend authenticator source from here. Step 3. Deploy OSGI bundle in WSO2 Identity Server (or APIM) by copying in to /repository/components/dropins directory. Step 4. You need to edit the /repository/deployment/server/webapps/authenticationendpoint/login.jsp page with your new authenticator name. Step 5. (Optional) If you need to make this as the default authenticator for all service providers, you can configure it using /repository/conf/identity/service-providers/default.xmlfile. This file is configured to “BasicAuthenticator” by default...You can modify it to “BasicCustomAuthenticator” by changing following two properties. You can debug the custom authenticator source by starting server in debug mode. Published at DZone with permission of Asela Pathberiya , DZone MVB. See the original article here.